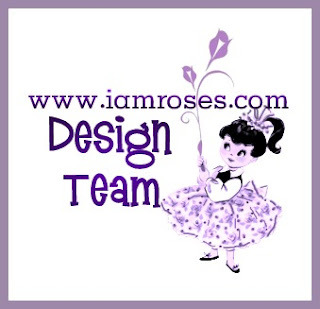 The annual CHA show brings along tons of great new products, presented by various companies. 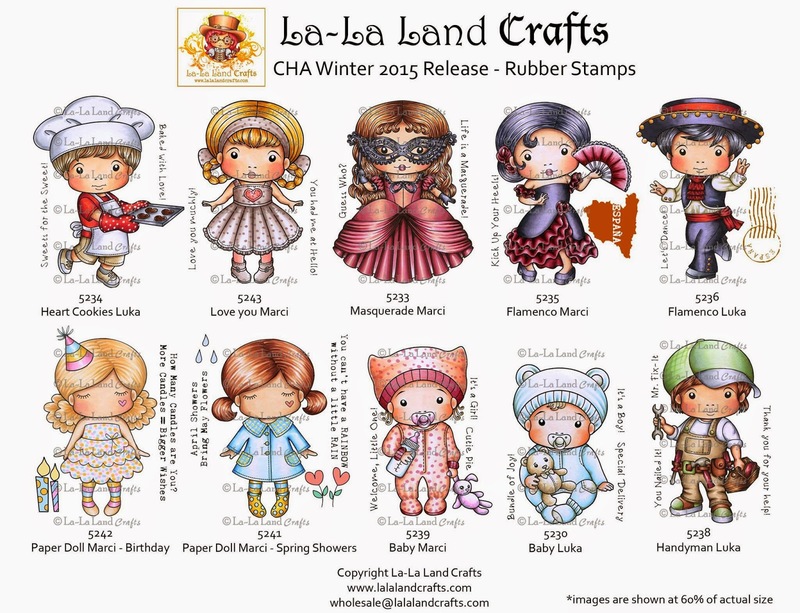 The La-La Land Crafts is one of such companies and their new release is awesome as always! 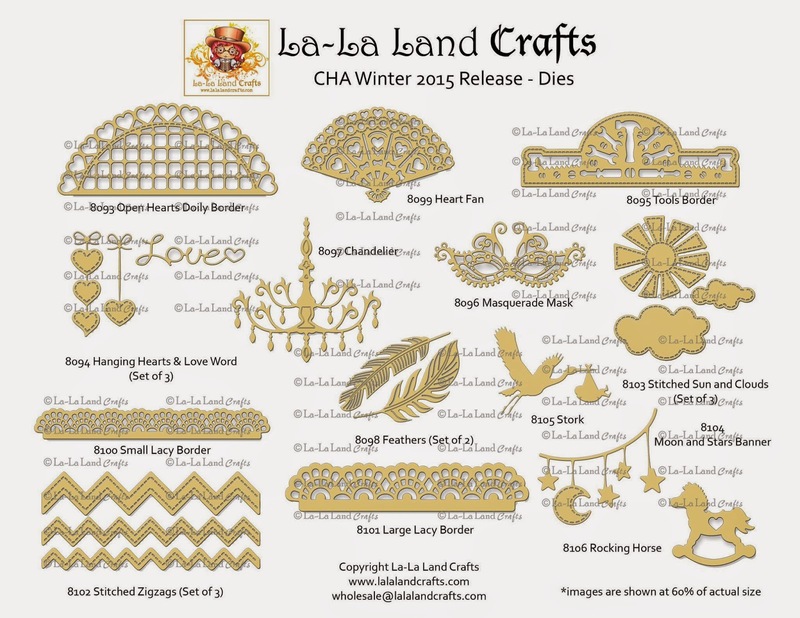 The whole release can be preview at the La-La Land Crafts blog, and all the items are available for purchase at the La-La Land Store. 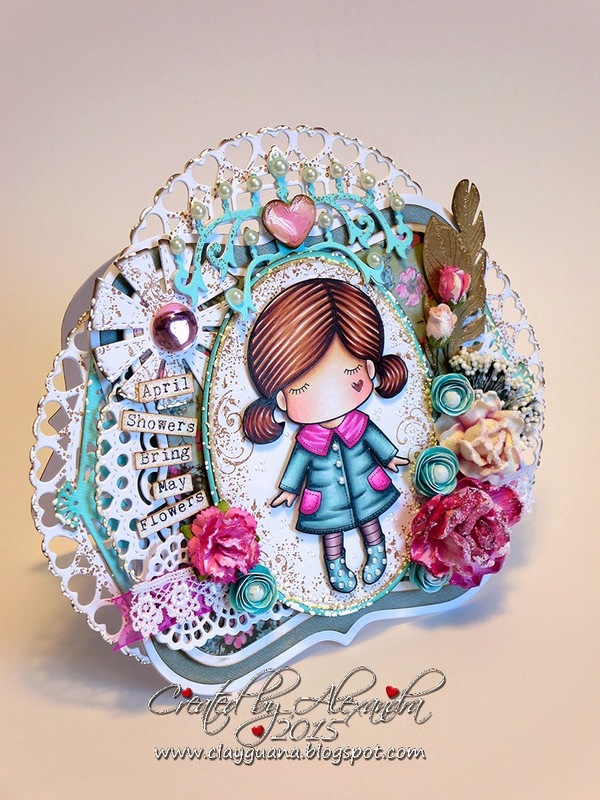 Stunning card, love the wonderful colours you've used on it and the use of dies and your colouring are, as always, completely awesome! 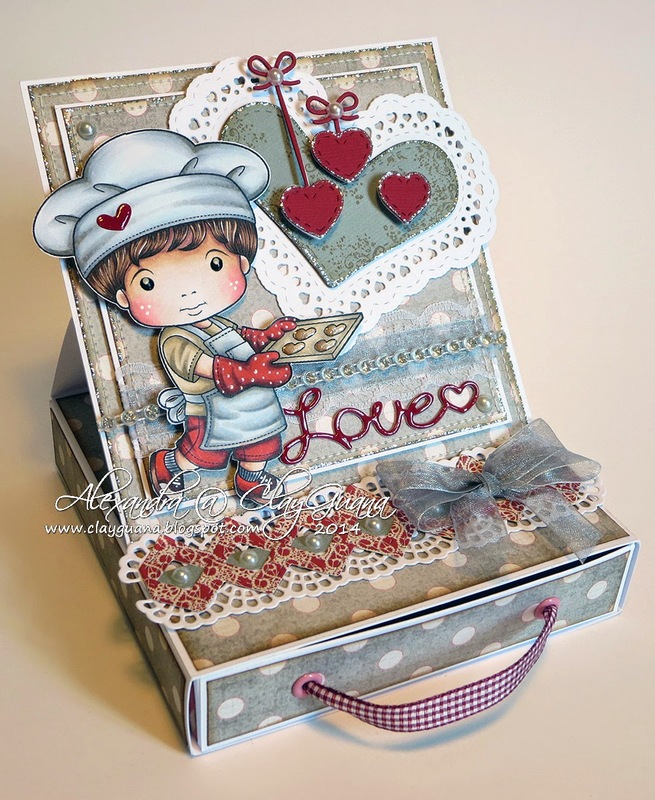 Luka is so cute and the easal drawer is a fabulous idea and beautifully designed and made, now you just need some little heart cookies to go in the drawer! 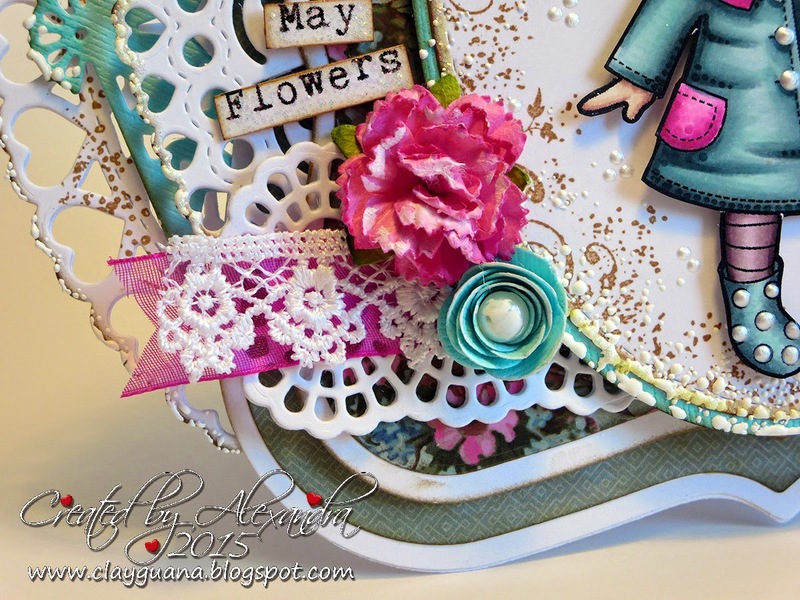 The card looks like a flower - both creations are stunning beautiful! 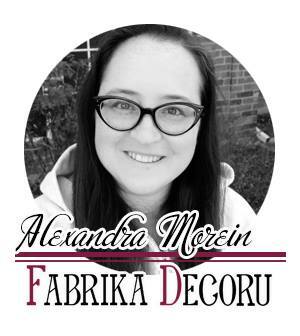 Alexandra these are amazing and beautiful projects. 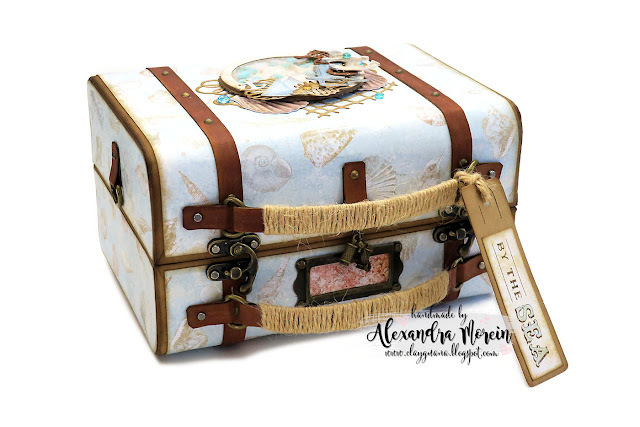 Just adore all the gorgeous little details on the card and the little drawer design is so fun. Two gorgeous projects. Card is stunning! 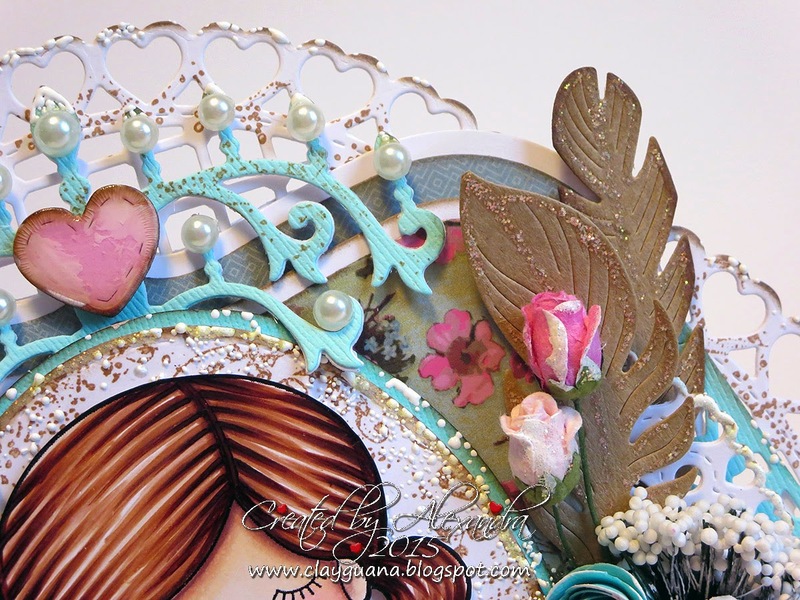 You used such pretty colours and of course the new dies are just divine! 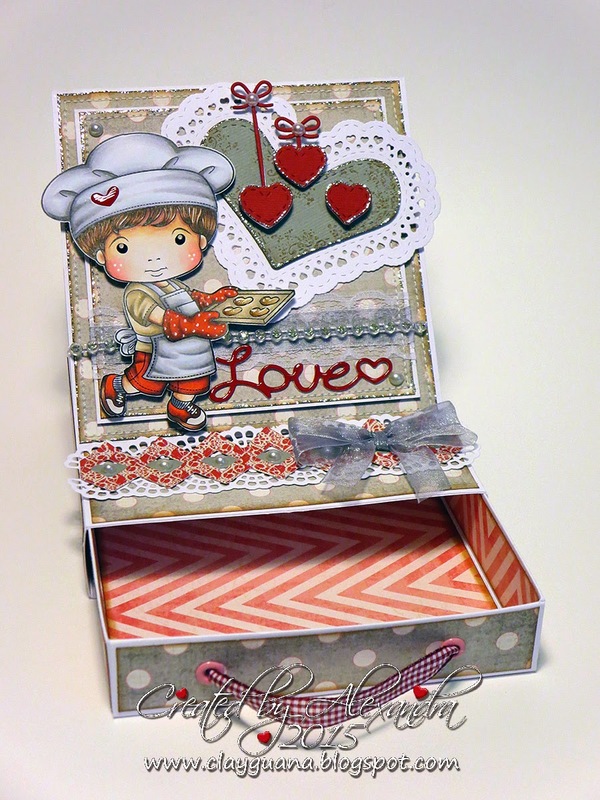 Easel card with drawer is really a perfect Valentine's day present. 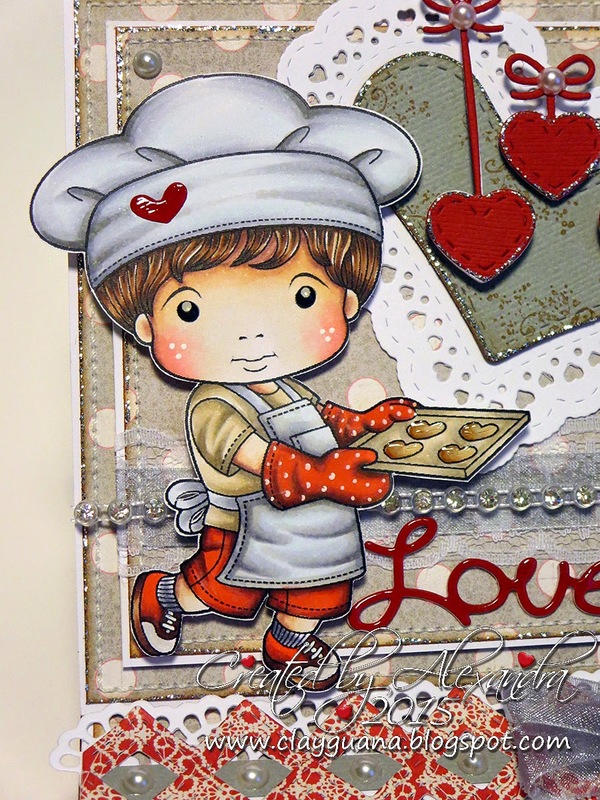 All you need is a few cookies! 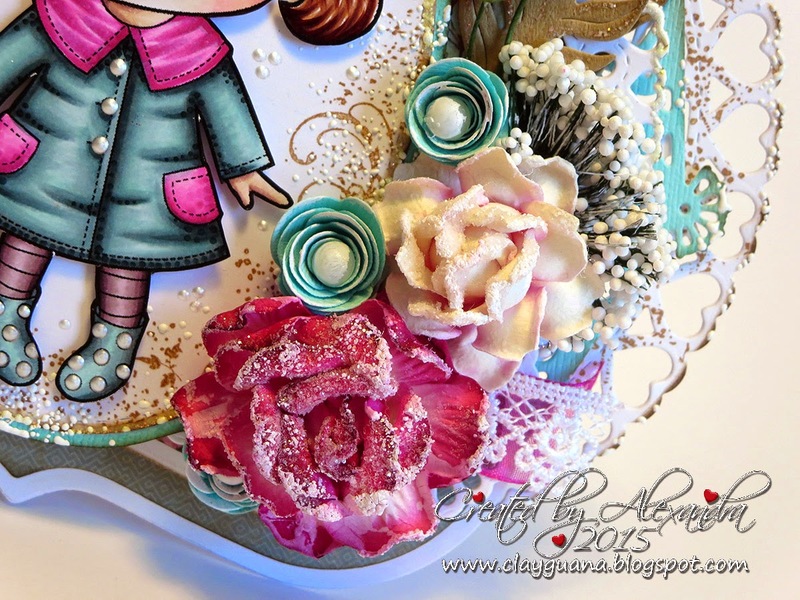 Amazing creations Alexandra! 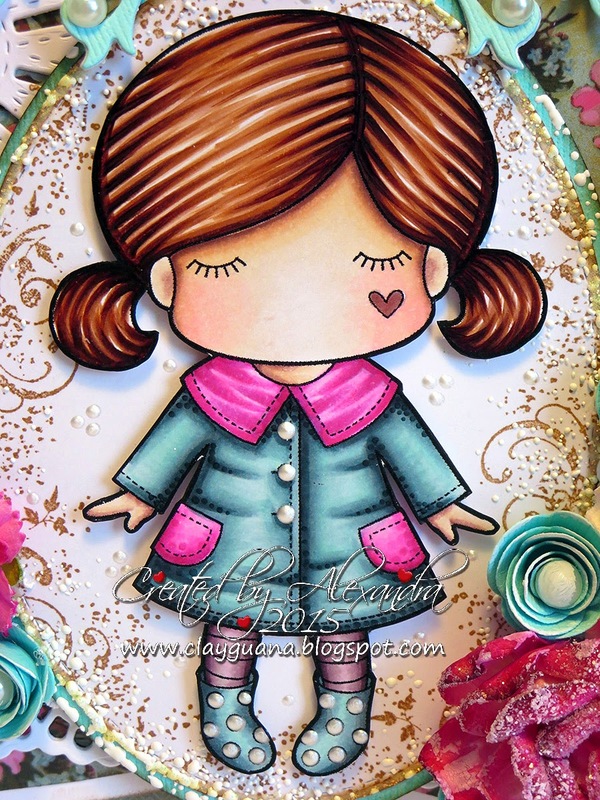 This new paper doll Marci is so sweet and Heart Cookie Luka is exceptionally cute too. 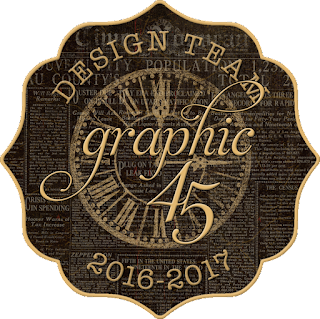 Both creations are beautifully designed and showcase the new diecuts perfectly!